Rental rates remain consistent throughout the high season with the exception of the Christmas Holidays. The house is rented between the months of November through June which is a very pleasant time of the year. Rental rates are listed below. Minimum stay is 3 nights. Please call or email for rates on extended stays. I always offer discounted rates for return guests. December 18th 2016 - Jan 6th 2017 add $30/Night. Please note during this period the minumin stay is 6 nights. 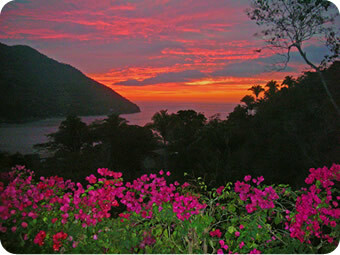 Yelapa is famous for events and special gatherings. 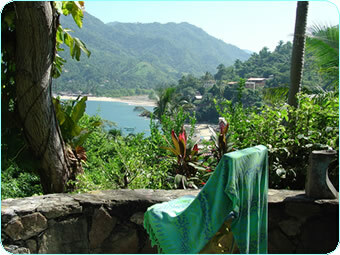 Yoga retreats, music camps, Spanish immersion classes, weddings and many more activities happen year round. If you have a special group you'd like to gather in Yelapa with, groups rates can be arranged with other near by houses and accommodations. Cooks, excursions to the islands, fishing and other activities can also be arranged for your group.